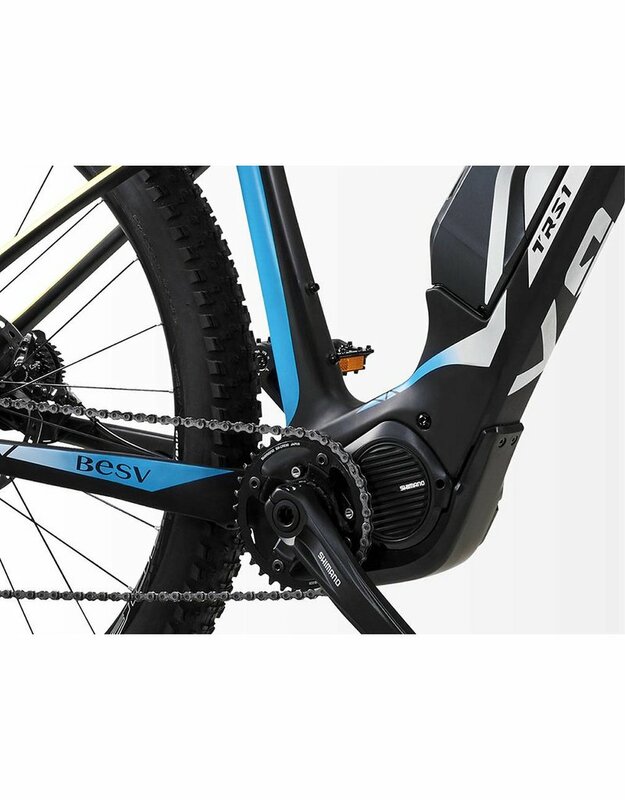 The BESV TRS1 features a lightweight carbon fiber frame, substantial 504Wh battery power, strong and intuitive Shimano system and the E-TUBE PROJECT App with customization, firmware updates and bike status self-diagnosis functions. The color combination of matte black with a touch of blue and neon yellow brings a distinct style to the TRS1. The BESV TRS1 features a carbon fiber frame weighing only 1.65 kilograms, that allows riders of all skill levels to easily control the bike. At the same time, the carbon fiber material offers high rigidity and strength. 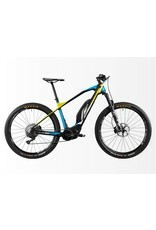 Benefiting from the lightweight design and solid quality, riders can fully enjoy swift and strong performance. Shimano has been a longtime leader in the bicycle industry with Japanese craftsmanship and reliable quality. 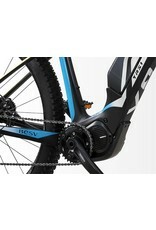 The Shimano motor, weighing only 2.8 kilograms, is one of the lightest motors on the market. It delivers stable, strong and intuitive power, and supports speeds up to 20mph. 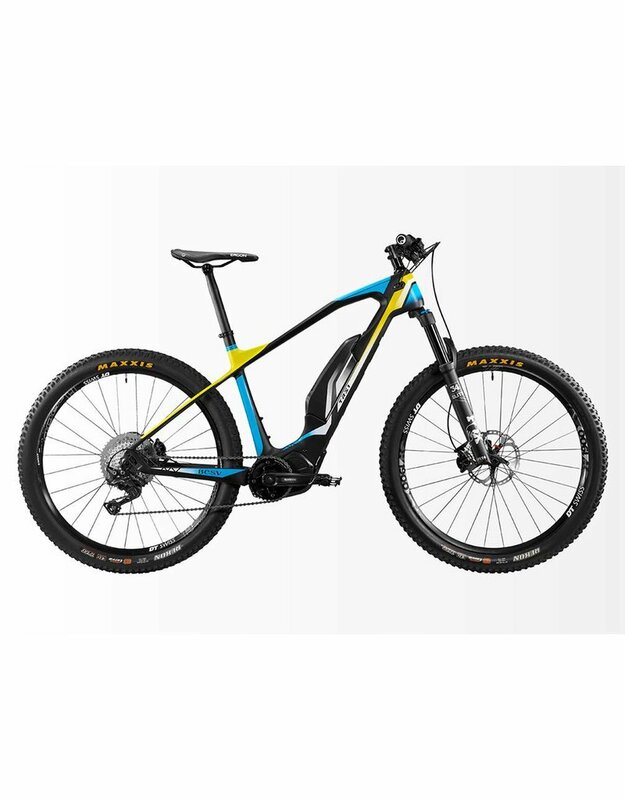 With the SHIMANO STEPS MTB system, the TRS1 features a 70 N.m torque value to create faster and longer rides for the ultimate in fun and freedom. The TRS1 is equipped with a FOX 120mm travel suspension fork, which is specially designed for e-bikes with added materials to strengthen critical areas. 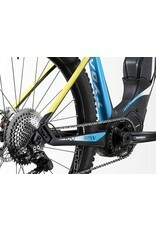 With this high performance suspension fork, biking on precipitous roads becomes an even more exhilarating experience. 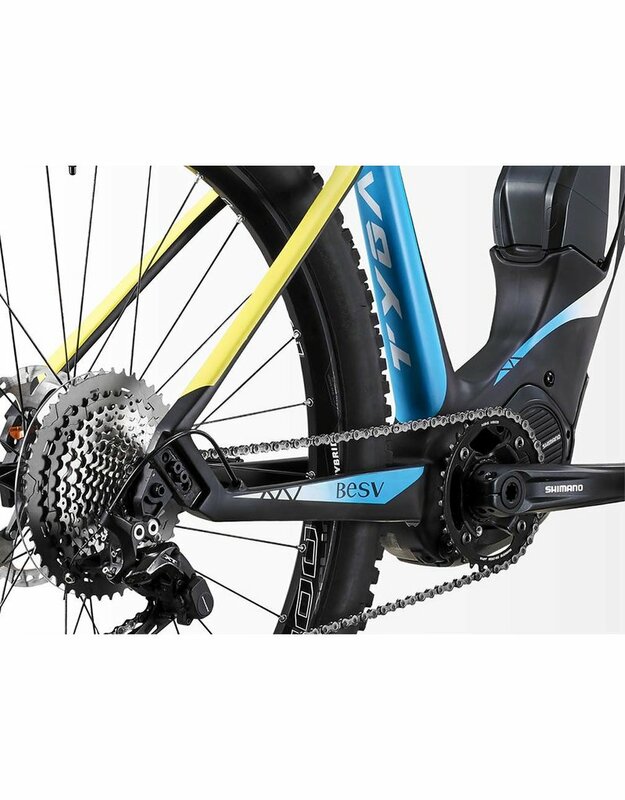 The BESV TRS1 provides 3 assistance modes: Eco, Trail and Boost. Riders can further personalize support settings according to riding styles and intended terrains.The color LCD display indicates power mode, speed, riding distance, battery level and other important information. The Shimano E-TUBE PROJECT App offers customization functions to match different users' personal riding styles. The App automatically checks for new firmware each time it is started. In addition, the self-diagnosis function can quickly identify units at issue for precise repairs. Tires Maxxis Rekon 27.5" x 2.6"